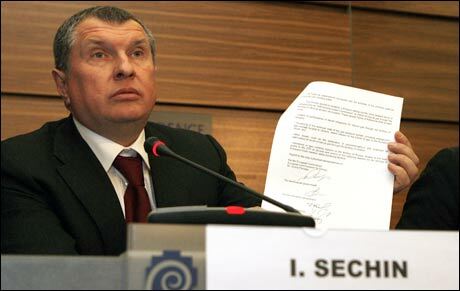 Often referred to as Vladimir Putins Mister Fix, Igor Setsjin (53) is by many considered to be Russia’s number two. Even though he no longer holds an official position in the Russian ministry, he is considered to be the informal leader of the most powerful clan in the Russian leadership, the so called Siloviki. As the rest of the Siloviki, Setsjin to has a background in the KGB (as do Putin), and has been closely connected to Vladimir Putin for more then 20 years. Primarily, Setsjin has been working in the oil and gas sector, and held the position as deputy prime minister, responsible for oil and gas, until Medvedjev demoted him. Presumable because he felt that he could not have a person working under him, that de facto carried more power than him self…. For this, it is believed that Setsjin now consider Medvedjev as his biggest enemy. Setsjin has played a major role in developing the Russian oil and gas resources in to a geopolitical Weapon, and i said to have been the major player in the nationalization of Russia’s biggest oil company,Yukos. At the same time sending Russia’s richest man, Mikhail Khodorkovskij to prison. Being a political opponent of Vladimir Putin, he disappeared from the political scene with his imprisonment in 2003. To day, Igor Setsjin is still standing firm, as Putins shadow.